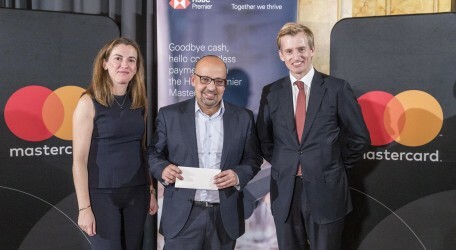 Following the launch of the HSBC Premier World Contactless Mastercard in Malta, HSBC hosted a number of its customers at the Hilton Quarterdeck Bar, where the evening turned into something extra special for two HSBC Premier customers. Following a draw held during the event, Herald Bonnici and Renald Theuma each won a Mastercard Priceless Experience complements of Mastercard. The winners, together with a guest, will enjoy a four-day holiday which includes flights, luxury accommodation, transport, a private tour of the host city, exclusive meals in top end restaurants, a €150 pre-paid Mastercard card and tickets to a Champions’ League semi-final. 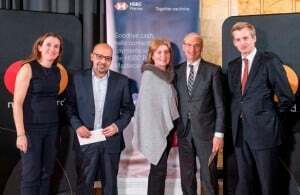 Senior officials from Mastercard Europe, HSBC Malta and other invited guests were present for the event. HSBC was the first major bank to launch contactless cards in Malta and HSBC Premier customers were the first of HSBC’s customers to benefit from this technology. The bank will roll out contactless cards to all their customers in the near future. Contactless technology allows customers a faster, more convenient way to pay for just about anything under €25 simply by tapping their card on a point of sale machine. The new Premier World Mastercard gives cardholders access to the Mastercard World programme through which they can enjoy enhanced travel experiences, rewards, protection and assistance in the event of losing their card. “Whether you are a frequent traveller or prefer the luxuries available at home, the Mastercard World card is an excellent benefit to HSBC Malta’s Premier customers,” said Aspa Palimeri, Country Manager Greece, Cyprus and Malta, Mastercard Europe. HSBC Premier is an exclusive banking service, tailored to individual financial needs and providing internationally minded customers with access to global banking and expertise in over 40 countries and territories. More information about HSBC Premier and HSBC Premier Mastercard World can be obtained by calling the dedicated contact centre on 2148 9100.